Compact, configurable and IECEx certified! 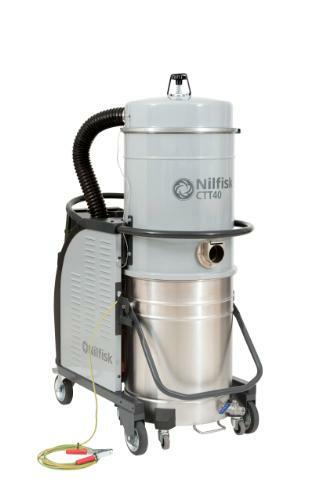 The CTT40 IECEx is the new threephase explosion-proof industrial vacuum IECEx (International explosive atmosphere standards) certified. The 4kW motor with turbine secures excellent performances while the compact design makes it really easy to move into the working area. Filtration is also top quality: the star filter of 1,9 m2 grants high filter efficiency and the manual filter shaker allows to clean fastly and easily the filter. Available also absolute filter HEPA H14 to collect very fine dust.